If you are starting a new business venture, you want to have as many advantages as you can. One of those advantages could be using Bitcoin as part of your business strategy. Learn three ways that Bitcoin can be useful for launching a startup. Read ON! Bitcoin is fast becoming a household term. As a brand-new venture, startups can incorporate Bitcoin into their businesses early and may be able to avoid having to make the potentially costly switch to using Bitcoin later. Since Bitcoin is not managed by banks, you have access to it 24/7. Conducting transactions on weekends or holidays can be processed immediately without any problems. Unlike other payment methods, Bitcoin is not controlled by banks or other financial institutions. Since transactions don't have to go through these intermediaries, Bitcoin-based payments can be done with minimal charges. Many Bitcoin wallets have no minimum balances, no monthly fees, and no foreign transaction fees. Since startups often don't have huge bankrolls, avoiding unnecessary expenses can be the difference between success and failure. These lower fees are only on the Bitcoin network, however. Your startup may need to have a traditional business account as well, which could negate these benefits. One of the major benefits of using Bitcoin for a fledgling business is that Bitcoin can't bounce like checks do. Once completed, Bitcoin transactions are permanent and absolute. You have little chance of delivering a product or rendering a service and receiving a fraudulent payment. Unlike cash, Bitcoin cannot be counterfeited. Although the risks with using Bitcoin are low, Bitcoin prices have been volatile. The value of Bitcoin has not stabilized, and you could face the chance that doing business in Bitcoin could lead to large profits or significant losses when compared to standard currencies. However, once the price of Bitcoin stabilizes, it may not inflate as fiat currencies can do. Bitcoin presents a distinctive opportunity for a new company. 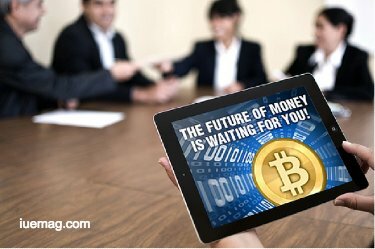 Businesses that plan to do many international transactions or that plan to conduct business that would traditionally be handled by cash (such as importers or online startups) may want to consider using Bitcoin in their business plans. For startups that will work with many other domestic companies or that are planning to rely on banks, Bitcoin may not be ideal. Either way, Bitcoin is changing the economic landscape and is something all startups may want to consider. Any facts, figures or references stated here are made by the author & don't reflect the endorsement of iU at all times unless otherwise drafted by official staff at iU. This article was first published here on 24th April 2018.